Lamenting the departure of Tinker Tailor Soldier Spy from area theaters last week, my friend and I took a consolation prize: the surprisingly well-regarded fifth feature film from director Joe Carnahan, The Grey. 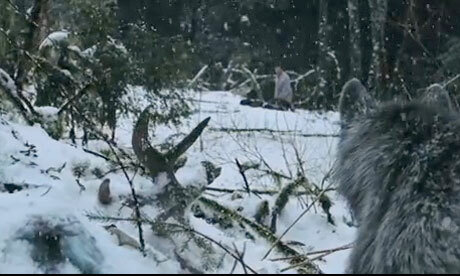 Again, though- The film is viscerally oppressive and legitimately gripping, kind of like Final Destination with wolves. It’s not the ballsy action film its trailers are selling, and there is no more obvious proof of that fact than the film’s ending. I’ll give a brief rundown of what happens, in case you forgot or you just hate movies and are reading this without having seen the film. At the end of the story, all of Ottway’s (Neeson) fellow plane crash survivors have been somehow killed by nature, most of them by hungry wolves. After having a sort of breakdown, Ottway discovers himself in the wolves’ den, surrounded by the angry animals. While reciting a poem handed to him by his father, Ottway binds a knife and liquor bottles to his hands, ready to die a most glorious and wolf-hating death. As we grit our teeth and prepare to enter the fray, as it were, Carnahan cuts to black, and ends the film on a somewhat ambiguous note. This move has been considered both ridiculous and brilliant by audiences, and I personally think it’s a fine ending. The film gives us plenty of clues as to the inevitable outcome of the story, and it ends on the emotionally important moment. Clearly, Ottway is going to die fighting, as his situation is just insurmountable. Now, there is a post-credits coda that shows a dying wolf and no sign of Ottway, but I read that as an allowance that Ottway did a bit of damage before traipsing into the woods to bleed to death. The coda makes the film’s ending no less ambiguous than if it didn’t exist. Just as the alpha wolf crouches to attack Ottway, we hear a rumbling. Both Ottway and the wolves look to the treetops. A helicopter roars into view. A rope ladder tumbles from the side of the chopper, as Ottway’s presumed-dead wife pops her head out. She shouts, “You left the hospital too early! I got better!”, before giving him a thumbs up. Ottway grabs the rope ladder, winks at the wolves as he ascends, and mirrors his wife’s gesture by giving a thumbs-up to camera. We freeze on that image as credits roll. Just as the alpha wolf crouches to attack Ottway, it stops, rears back on his hind legs, and stands. 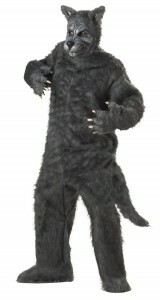 It reaches below its neck, and pulls down a zipper, revealing its wolf facade to be a costume. Out of the costume steps Ottway’s presumed-dead wife. The surrounding wolves follow (wolf) suit, unzipping to reveal themselves as Ottway’s presumed-dead roughneck friends (as well as his presumed-dead Irish father). Everyone cries and hugs, as we learn that the entire film was an elaborate hoax to convince Ottway of the importance and preciousness of life. Just as the alpha wolf crouches to attack Ottway, we cut to a full, side two-shot. Ottway jumps up, then freezes in time as Skrillex hits the soundtrack. What follows is a Zack Snyder-styled action scene set to crunchy industrial techno, in which Ottway uses high-flying kung fu on all the wolves, complete with a bullet-time back flip. Just as the alpha wolf crouches to attack Ottway, he follows through and attacks Ottway. Our hero doesn’t get in a single strike, but is systematically and slowly eaten by the wolves, akin to raw footage from a National Geographic video. Just as the alpha wolf crouches to attack Ottay, our hero HOWLS. He stops, looks down at himself. The wolves are as shocked as Ottway. They look at each other, troubled. Cut back to Ottway grasping at the wolf bite he received earlier in the film. He’s shocked to discover his hands are transforming into paws. His mouth shoots out and grows into a muzzle. He screams as his clothes rip off and he becomes Ottwolf, new alpha male and leader of the werewolf collective. (This actually makes perfect sense, as he was the only character to have actually lived through a wolf bite.) The wolves all bow before him as he stands and howls, as the camera cranes up and out into the treetops. I’m going to go on a limb and say that these alternate endings are so feasible that Joe Carnahan might actually have them in the can already. 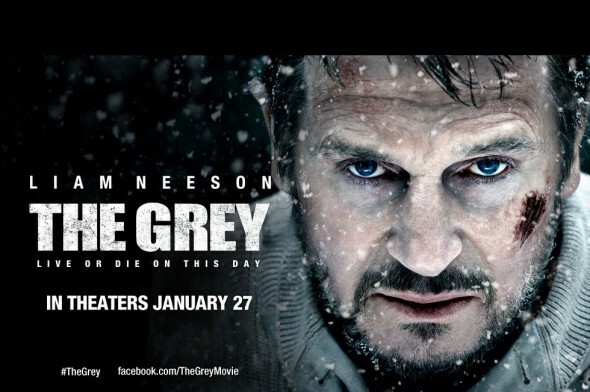 Be sure to watch out for the blu ray release of The Grey. In other news, Wonder Mill Films’ newest feature film The Nocturnal Third will soon be available to stream for free online for a very limited time. Be sure to keep an eye out on our official site. Also, Cinematrimony and Aspect Radio have combined their powers to create a new movie podcast for Al.com. Check it out here!